On Sunday morning, California was unceremoniously awoken by the largest earthquake to hit the Bay Area in 25 years. But as damaging as the 6.0 trembler was, scientists fear that it will pale in comparison to "The Big One," a "hypothetical earthquake" with the potential to nearly wipe out parts of the state. And with this latest jolt of seismic activity, many California residents are worried that The Big One — affectionately nicknamed the "B.O." — is coming, and coming soon. While the B.O. remains a purely speculative event, it is certainly much more than a figment of a science fiction prone imagination. Several hundred scientists have spent the past year researching and preparing for an earthquake crisis, one that they believe has the capacity to strike sometime between tomorrow and 30 years from now. Although the time window hasn't been entirely nailed down (Mother Nature isn't the most punctual guest), scientists and researchers are united in their conclusions about the B.O. 's effects. Los Angeles and the surrounding areas in Southern California will be transformed into a bowl of "violently trembling Jell-O," infrastructure will break down, and fires will rage across the region. It is estimated that the B.O., if and when it arrives, will claim around 1,800 lives. But there is a silver lining to the doomsday predictions — California has heeded these warnings and taken significant preparation measures to ready themselves for an impending disaster, but many experts say that the state has left substantial holes in their line of defense. So in case you have any questions or concerns of your own, here are a few major things to know about the upcoming B.O. Break It Down, What Is "The Big One?" According to the San Andreas Fault organization, "The 'Big One' is a hypothetical earthquake of magnitude 8 or greater that is expected to happen along the SAF." The consequences of such an earthquake could be devastating, and while it may originate in southern California, regions as far north as San Francisco could feel its effects. Given that five earthquakes shook the state in the first five months of 2014, and each of them registered above a 4.0 on the Richter scale, many geologists believe that these smaller tremors served as a prelude to a giant earthquake. What's more, California is "more than a century overdue" for one of these monster quakes, and scientists are 99.7 percent certain "The Big One" will happen within the next three decades. How Big And Bad Would It Be? For every one point increase on the Richter scale, the energy released by an earthquake is multiplied 32 times over. That means that if the B.O. has a magnitude of 8, it will be 64 times stronger than the earthquake that hit San Francisco on Sunday. You would see buildings collapse, you'd see people trapped, you'd see roadways collapse, you'd see widespread destruction. Highways are expected to be demolished, water pipes would explode, electrical and gas lines would be cut off, and cables would be ripped to shreds. This damage could then lead to fires that, considering California's unending drought, would have the capacity to spread quickly throughout the state. And worse yet, San Francisco's water supply comes from none other than the San Andreas Lake, which as the same implies, sits squarely on the volatile fault line. Though geologists admit that they cannot predict with certainty the exact time or location of the earthquake, SoCal should be the most concerned. Los Angeles, in particular, is at risk for major damage because it sits atop a giant basin. And just as vibrations are amplified in a bowl of water, seismic waves would be similarly amplified in Los Angeles. Our study indicates that high rises in downtown Los Angeles will get more strongly shaken by future earthquakes on the San Andreas Fault...[W]e find seismic amplification in downtown Los Angeles with peak amplitudes up to three times larger than in surrounding areas. Even if the San Andreas fault doesn't cause the B.O., it is highly likely that the Puente Hills fault line could be the culprit. This fault line extends from the northern Orange County all the way down to the most heavily populated areas of Los Angeles, and if it erupts, could cause $250 billion in damage and 18,000 deaths. While many buildings — in fact, all public buildings — in Los Angeles have been reinforced with steel, and many highways have been "strengthened," many of the older infrastructure in the city remain unprotected. Buildings made of concrete are especially vulnerable, and according to a recent survey completed by the University of California, a staggering 1,451 concrete buildings do not have steel reinforcements. Of these 1,451, 50 are hotels, 50 are churches, and 25 are nursing homes. 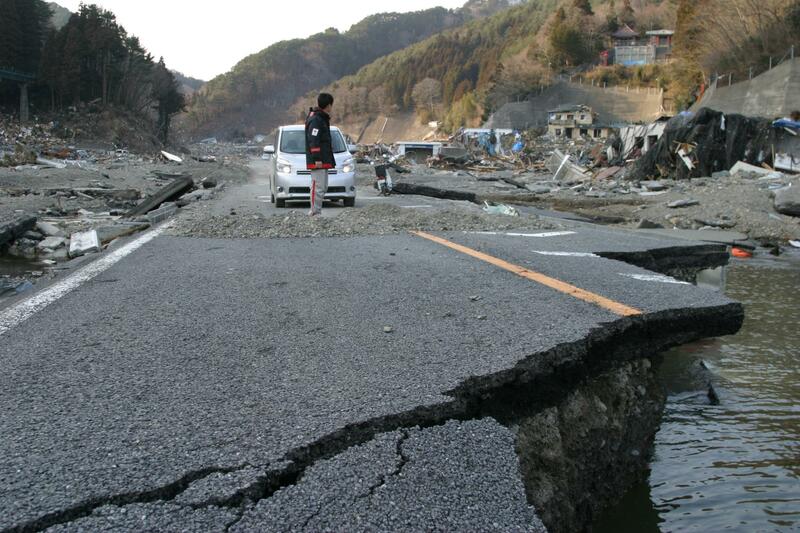 California has also been urged to implement an early warning system, much like the one earthquake-prone Japan has in place. Such a system would use several hundred sensors to detect the earliest pulses of an earthquake, which would allow government officials to warn citizens of impending tremors. Even if these warnings only buy a few minutes or even a few seconds, it could save lives. Great question. The San Andreas Fault organization recommends preparing an emergency pack, comparable to a camping or hiking survival kit, that would sustain you for up to two weeks. If you're a California resident, having a store of water, food, and medical supplies will be key, as hospitals will likely be completely packed and food resources will be scarce. Additionally, communication lines will likely be destroyed, so the ability to survive independently without outside help will be of paramount importance.